Of all the nutty inventions we see here, a tabletop black hole has got to take top prize. Unfortunately you can’t get one for yourself just yet, but two scientists at the Southeast University in Nanjing, China built one as a proof of concept after a related paper was published by researchers at Purdue University, Indiana. The paper proposed a device that could mimic the properties of a black hole in space, causing space-time in the surrounding area to bend and warp and spiral inwards toward the center of the black hole. 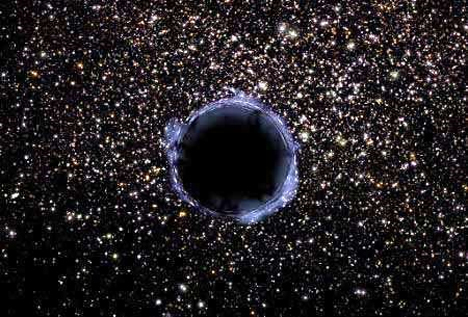 But unlike a cosmic black hole, this one (hopefully) won’t rip us apart. The device, built by Tie Jun Cui and Qiang Cheng, only works on microwave frequencies, not visible light. It is a cylinder comprised of 60 strips of “meta-materials” (the same stuff used to make that “invisibility cloak” a while ago) arranged as a circuit board etched with intricate structures. As soon as magnetic waves hit the structure, they’re trapped by the outer portion of the device and drawn toward the inner portion, where they are then absorbed. 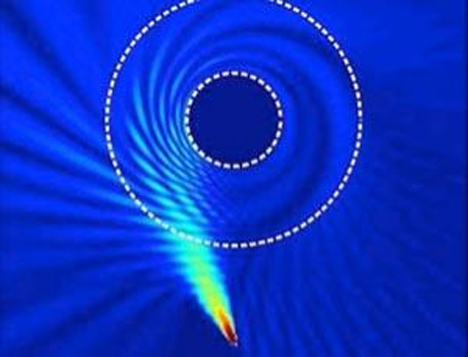 The device converts the trapped light into heat, and the waves can never escape. 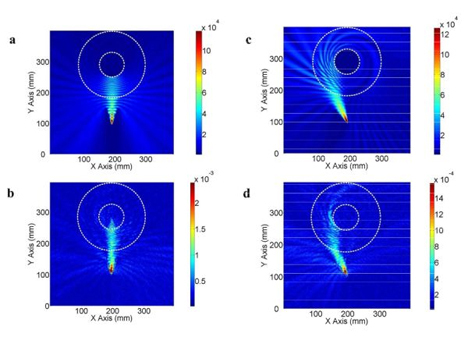 Cui and Cheng are confident that they will soon be able to build a similar device that does work on visible light waves. Achieving this feat will be more difficult because of the shorter wavelength of optical light, but Cui says that they should be able to exhibit their optical black hole within a year. And all of this talk of black holes and capturing energy isn’t just an exercise in nerdiness; the technology could be used to build ultra-efficient solar energy harvesters in the future, eliminating the need for huge mirrors to collect sunlight. Look for the corresponding obnoxious “This Device Powered By Black Hole” stickers to follow soon after…provided we all survive. See more in Weird Science or under Science. November, 2009.